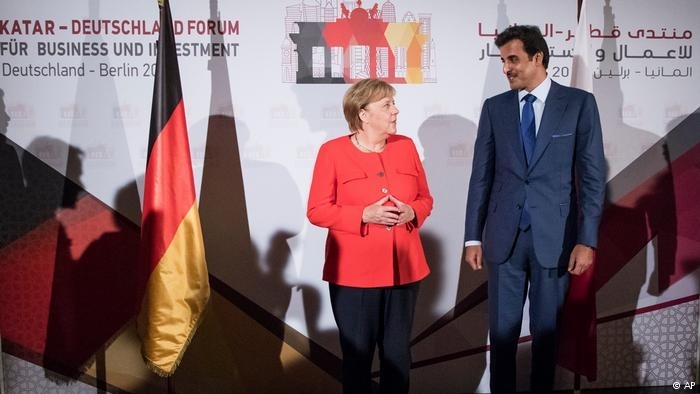 "We are aware of the strength of the German economy, and therefore are prepared to make investments of €10 billion [US$15 billion] here over the next five years," said Qatar's emir, Sheikh Abdullah Bin Nasser Bin Khalifa Al Thani, in his opening remarks for the Qatar-Germany Business and Investment Forum. Qatari investment is set to flow to the manufacturing sector, energy, and Germany's Mittelstand — the country's powerful sector of small and mid-sized companies (SMEs).That, he said, would add to the €25 billion worth of Qatari investment already in the country. Apart from holding the second biggest stake in the country's biggest lender, Deutsche Bank, Qatari investors also have shareholdings in carmaker Volkswagen, engineering firm Siemens, the Hochtief construction firm and panel maker Solarworld. But it's energy investment is a key priority of Chancellor Angela Merkel, especially given that Qatar is the world's largest exporter of liquefied natural gas. "From my perspective, the energy sector has significant potential for the expansion of our economic ties," Merkel said in her own opening speech at the event. "Liquid natural gas contributes to the diversification of gas sources, and therefore to the security of supply." Qatar Petroleum recently said it was in talks with Germany's RWE and rival Uniper about cooperating on a potential terminal for LNG. As of yet, Germany — Europe's largest energy consumer — has no terminal for receiving the liquid fuel and turning it into gas. But uneasy relations between the West and Russia have prompted Merkel's government to look toward building domestic LNG infrastructure in Germany in order to create alternatives to Russian supply. 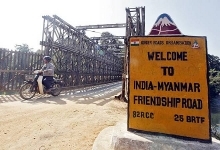 The dependence on Russia has also been a source of criticism for US president Donald Trump, who has pushed the sale of more expensive American LNG to Europe. Germany's plans to move away from coal and oil, to make the economy carbon-neutral by 2050 have also fueled the interest in natural gas. At the forum, Merkel said that several projects for the construction of an LNG import terminal were in the pipeline, but did not give any details to the projects or planned Qatari involvement. Merkel also commented on the year-and-a-half long economic blockade by Qatar's immediate neighbors, saying Germany was still "prepared to contribute to de-escalation efforts to diffuse tensions in the region," citing security and stability as necessary pre-conditions for investment. Those aren't the only problems. That Qatar is hosting the FIFA World Cup in 2020 also has foreign companies, German and otherwise, eyeing profitable construction contracts. But Doha is under pressure to show it is addressing criticism of its poor labor standards. Exploitative working conditions have come into focus as the country prepares to host such a high-profile event. Human rights advocates hailed this week's move by the Qatari government to abolish exit permits, allowing workers to leave the country without their employer's permission — but say so much more has to be done.